Pia Nilsson, CEO of the Swedish Investment Fund Association - Fondbolagens förening - says efforts to boost investor knowledge and confidence are among her top priorities. 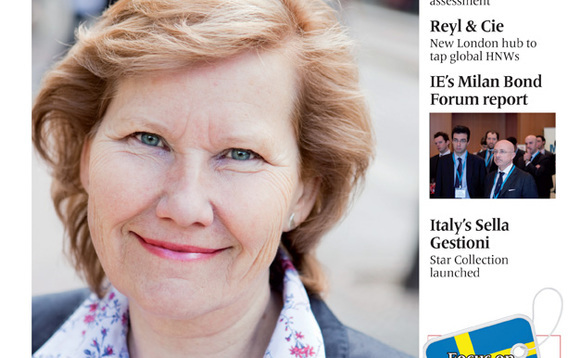 Pia Nilsson, CEO of the Swedish Investment Fund Association – Fondbolagens förening – says efforts to boost investor knowledge and confidence are among her top priorities. Coming off a year that saw record levels of AUM achieved by the Swedish funds industry, the head of trade body the Swedish Investment Fund Association - Fondbolagens förening (FF) - says there are a number of priorities for 2013. These affect areas from manager relationships to retail clients, through to broader industry-wide responses to ongoing regulatory changes. FF CEO Pia Nilsson says that, despite the gains made by the industry through 2012, the over-riding priority remains to boost knowledge and therefore confidence of investors. Since the Millennium, these investors have been through the tech bubble bursting, the equity bear market of in the early noughties, and the collapse in asset values that followed the global credit crunch and Lehman Brothers failure, leading into the global recession and European sovereign debt crisis. The AUM gains seen last year, and the seeming continuation in net investments, which increased significantly in the last month of 2012, represent an upturn that has inspired confidence in funds investing, Nilsson says. This in turn raises the concern the industry needs to remember what may cause a decrease in confidence. Still, funds remain a "good way to save" on the part of retail investors, Nilsson says. And they have form in Sweden, where it is estimated that about eight in 10 people have savings via funds, or up to 100% if savings via the country's PPM (Premium Pension) System are included. This marks out the local market, but also means the industry is sensitive to trends in investor confidence that markets with lower ratios of funds exposure among the general population are not. It is therefore also considered important to ensure that investor knowledge is built up. "It is like a mobile phone. You know how to use it but don't need to know how it works inside," Nilsson says, comparing the type and level of knowledge that the Association believes that the broader mass of investors need to attain. Key to this activity is ‘Fondkollen', a service developed to work via its own website and app, which offers tools for users to perform peer group comparisons. It also offers a traffic light-style system to illustrate top-quartile performers which are ‘green' and bottom quartile which are ‘red'. Users only need to know the name of a fund to track down performance and other attributes, with the data supplied by Morningstar. The default setting of the service is to provide information based on five-year performance data, although investors can seek out data periods between as little as one month up to ten years. FF is pushing the marketing of Fondkollen and looking to its own members to develop similar facilities on behalf of their own clients, all with an eye to improving overall knowledge about funds and how to start the process of reviewing performance and ultimately seeking out better products.